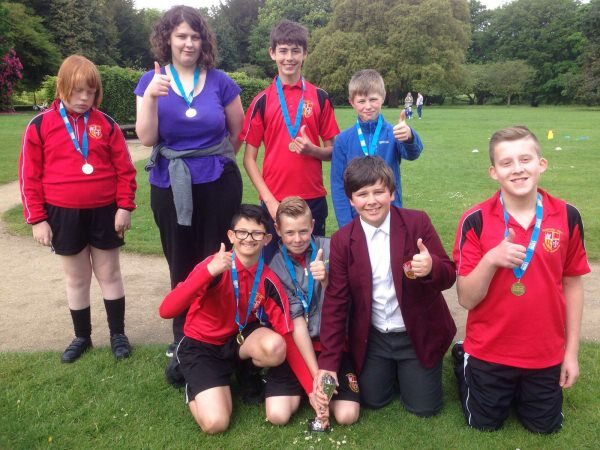 Congratulations to a group of year 8 students who competed at the Merseyside Strike Golf competition which was held at Croxteth Park on Monday morning. Rainford students along with another 10 schools had to overcome a series of golf related obstacles and challenges scoring as many points on each challenge to hopefully be crowned winners at the end. The boys and girls played fantastically well and conducted themselves brilliantly and posted a winning score of 183. The students are now Merseyside champions for the event which is a fantastic achievement.